Yes, this fight is still going strong. If you follow me on Instagram you will know I recently attended a James Bay concert (there will be a post about this very soon) and on this fateful day I decided to rock some eyeliner. Newsflash: it is still very difficult. 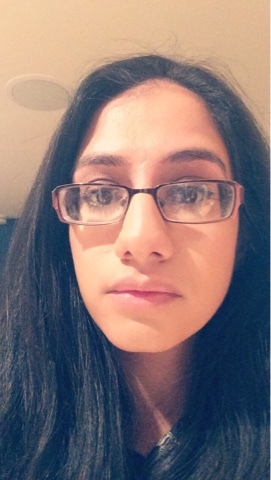 Now, I wear glasses and to apply eyeliner they have to be off, furthermore if I do not wish to stab myself in the eye and wear contacts it means I am basically applying eyeliner slightly less disadvantaged than a blind person. Because my eyesight is next level bad, it really is. My weapon of choice was the Eyeko Eye Do eyeliner (£15) in collaboration with Alexa Chung, and I just wanted to talk you through some tips. My current skills are far from honed but with practice everyone can be perfect. 1. Always do the eyes first. 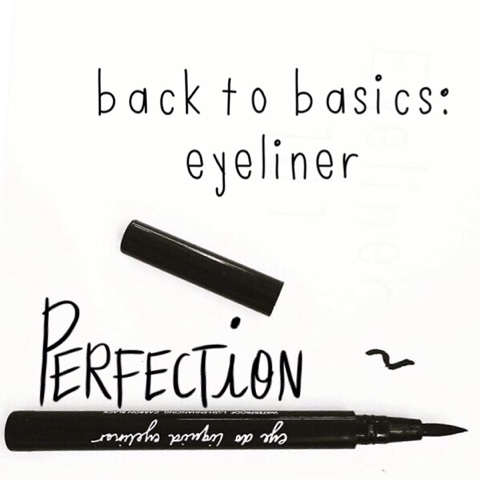 Especially when you want to do any eyeliner or a dramatic eye. This a golden rule. 2. Test your eyeliner on the back of your hand so you can be sure it hasn't dried out. 3. If you are visually challenged you need a magnifying mirror and you need to be mm away from it. I mean you want to see your breath fog up the glass. 4. You can easily use some sellotape or sticky tape to map out your wing. Just cut a piece off, apply it a few times to the back of your hand so it loses some of its industrial strength stickiness and then place it at the outside corner of your eye in a diagonal line towards the end of your brow. If you fill in or extend your brows do this first and then map out the line according to your finished brow. 5. You can use a black eyeshadow and an angled brush to sketch it out or a kohl/pencil eyeliner if you find these less scary to work with. 6. Always keep your eyes open when drawing the wings, so you know how they will appear to others. 7. Just go for it, with or without the sticky tape, just draw that diagonal line and then carefully draw across the upper lash line. 9. Keep makeup wipes and eye makeup remover with cotton buds handy. 10. Using black eyeshadow on a thin angled brush you can always go over it so it looks smoother and better. 11. You can also use concealer to clean the edges as well. 12. Don't forget to take the sticky tape off and pat yourself on the back, because the struggle is real. Above you can see my fuzzy attempt at a wing, remember practice is key: don't give up and don't lose heart; you will get it eventually. Thank you so much for reading, I hop you enjoyed this post and found it helpful. If you would like a separate post about my favourite eyeliners let me know in the comments below. Take care.